Wrap yourself in luxury in our Noble Cloak. 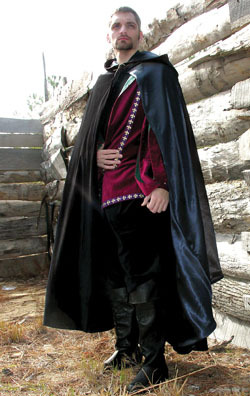 Made of Jewel Black cotton velveteen, this hooded cloak is fully satin lined in your choice of steel/navy blue, gold, or crimson. Our beautiful brass cloak pin is supplied with your cloak at no additional charge.